Make the discovery,warm&striking French country brick&stone wrppd ranch. Three car garage. 4 bdrms, 4 baths, real hrdwd flrs, built-in bkshlvs, main lvl living incl. grmet kitchen w/granite cntrtps, cstm cabinets, tumbled tile bcksplsh w/mosaic tiles, ss appliances, brkfast bar&pantry. Paneled exec office w/French doors. Brkfast area, sun room&master bedroom w/pond views. 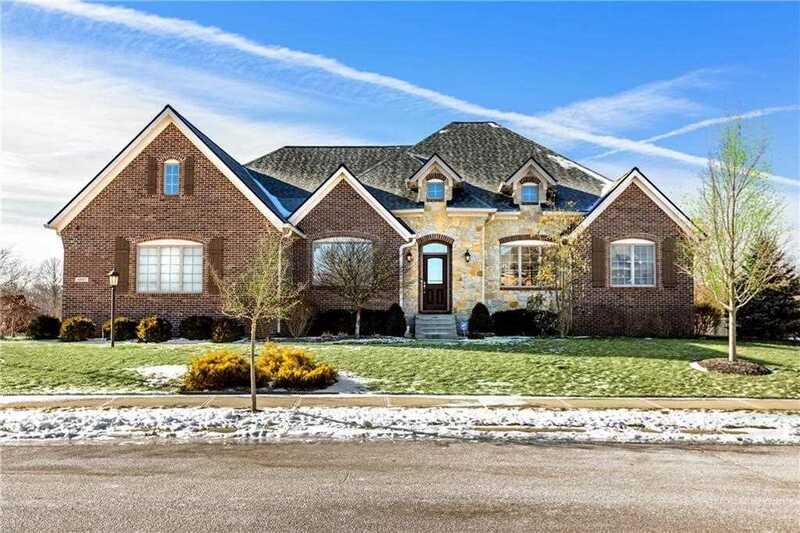 Custom woodwork package is exceptionalâ€¦Wainscoting, coffered ceilings, bead board, vault ceilings, Anderson windows w/cstm designed pediments, arched transom fr door&frml dining room. Laundry rm w/custom closet&mop sink. Fin bsment feat. large entertain area, workout rm, bed, full bath&huge storage! Private backyard w/expsd aggregate patio&brick paver crtyrd. Directions:131st west of Shelbourne to subdivision entrance, south on Airhart to T, left to home on right. SchoolsClick map icons below to view information for schools near 4007 Tolbert Place Carmel, IN 46074.